Variegated Chinese Privet makes an attractive screen when planted en masse, but it can also be used as a specimen plant in the landscape or used as a foundation planting. It’s free form growth habit lends itself to more naturalistic planting styles. Variegated Chinese Privet can also be shaped into hedges for a more formal design in the garden, however it looks best left natural. 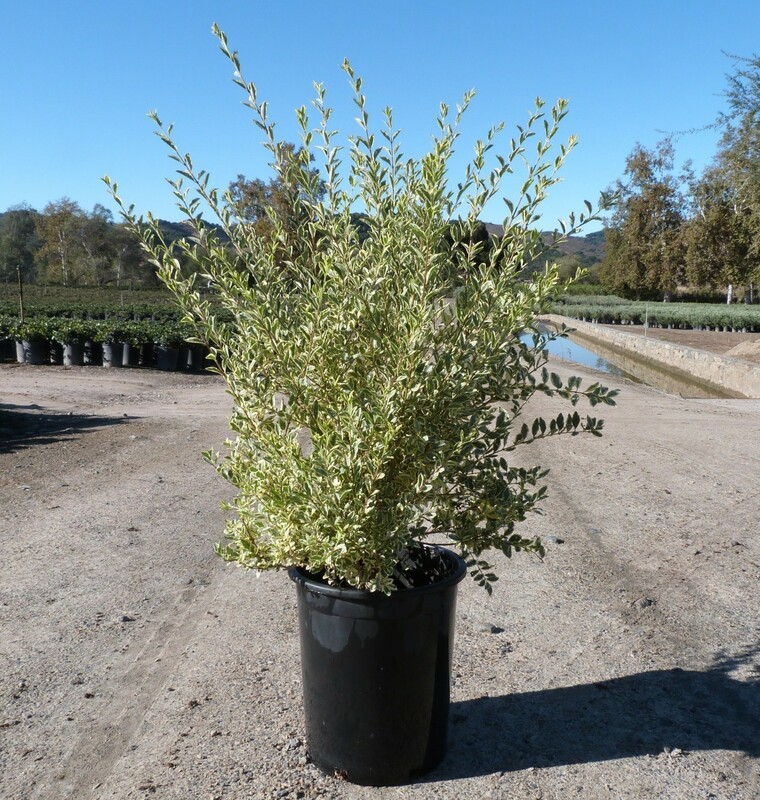 Variegated Chinese privet is a semi-evergreen with attractive creamy white margins on its light green leaves. The small round ovate leaves are opposite on branches that grow in a horizontal habit; making the shrub look very layered and textured. Plants thrive in full sun, but can tolerate some shade. However, note that if planted in deep shade plants tend to lose their variegation. This shrub needs medium moisture once established, but it can tolerate seasonal drought. Plants can grow in a variety of soil conditions making it very prolific and gives it more design flexibility. It’s adaptability to a variety of conditions can also make this plant invasive in certain regions.